It is essential to the economy and society: without transport, things would quite literally grind to a halt. So, while it is easy to bemoan the sight of yet another 18-wheeler on the freeway, bear in mind the crucial role that vehicle – and all others like it – play. As the Department of Transport’s theme for Transport Month 2018 states, “Together, we move South Africa forward”. Moving the country forward depends on a strong and unrelenting focus on safety. There are many facets to road safety, including the suitability and roadworthiness of vehicles along with appropriate loading; the health, fitness and training of drivers; and the availability of insurance solutions to provide a level of protection for goods and vehicles in transit. Together, these factors contribute to transport that supports a healthy economy. Let us consider why overloading should be avoided. While it may be tempting to get as much as possible on to every vehicle, overloading increases the likelihood of an accident, while also causing excessive damage to vehicle and the road. In fact, overloaded vehicles are responsible for R400-million’s worth of unnecessary road damage per annum[i]. Overloading will damage a vehicle, particularly in the long run; it is therefore linked to roadworthiness. All vehicles should be maintained to a minimum standard, with essential safety equipment like brakes, indicators, steering components and tyres, regularly checked and kept in good operating condition. Unroadworthy vehicles are, quite simply, hazardous – not only to other road users, but also to their occupants. It is the responsibility of every driver and every transport operator, to keep their vehicles in good repair. Once failures in equipment are ruled out as the cause for safety compromises, the next major contributing factor to accidents is the human one. People make mistakes; the Automobile Association notes that the single biggest cause of road accidents is human error. This underscores the necessity for appropriate training for every driver. Not just truck drivers, although their contribution to transport is obviously substantial, but all drivers – an unsafe driver on a scooter can just as easily cause a major accident as a truck driver can. Good driving also depends on good health. It is for this reason that the conditions to obtain a Professional Driver’s Permit, necessary for all commercial drivers, requires a certificate of medical fitness from a doctor. Additional qualifications are required for specific vehicles, too – as you can imagine, you cannot simply hop into the cab of an oversized truck and drive off. Keeping goods moving so that South Africa itself keeps moving forward can be a risky business, particularly given the realities of crime. It is not only hijacking that operators must be alert to, either. While the loss of a whole load and the vehicle can be a catastrophe, there is also petty crime to contend with. Increasing incidents of people simply “having a go” as a vehicle moves up a steep hill or stops at a traffic light means measures are necessary to secure cargoes from thieves who might just seize the moment (and some goods) when they see a chance. It is on that note that the value of insurance for the transport industry becomes clear. Keeping complex supply chains moving always depends on the actions of many thousands of operators and hundreds of thousands of individuals. 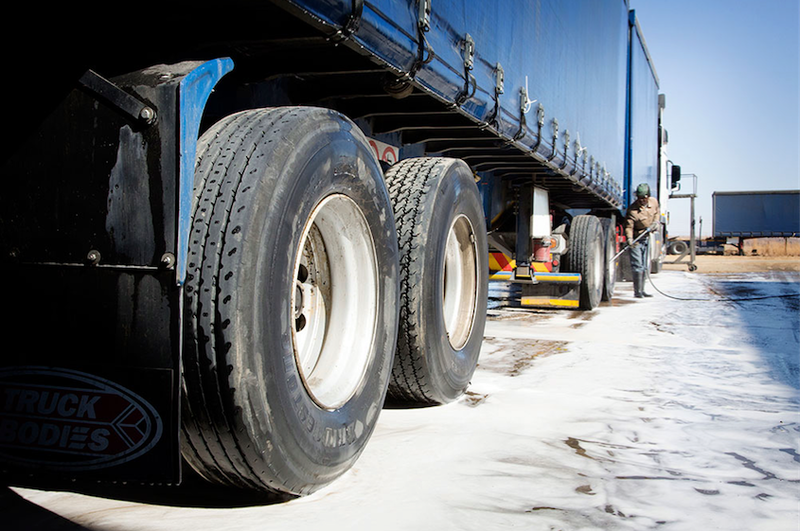 When something goes wrong, whether an accident, a crime or a breakdown of any sort, it is essential that there is recourse available; a single truck and trailer, for example, can cost well over a million rand and a single load could easily run to multi-millions. Losses through theft, crashes or other causes could quickly put transport operators out of business; insurance mitigates the many risks faced daily on the roads. Furthermore, someone who thinks in terms of risk and how to mitigate it, which an insured party is likely to be, means being aware of the risks faced and doing whatever is possible to manage them. Let us acknowledge the role played by trucks and other vehicles of all kinds. Like blood corpuscles circulating in a healthy body, their movement is central to the wellbeing of South Africa as a whole.